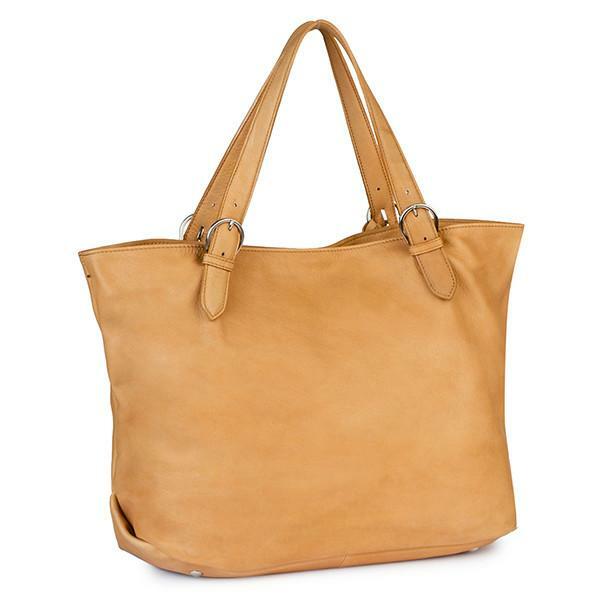 This buttery soft Naked Leather bag is one for a true connoisseur. 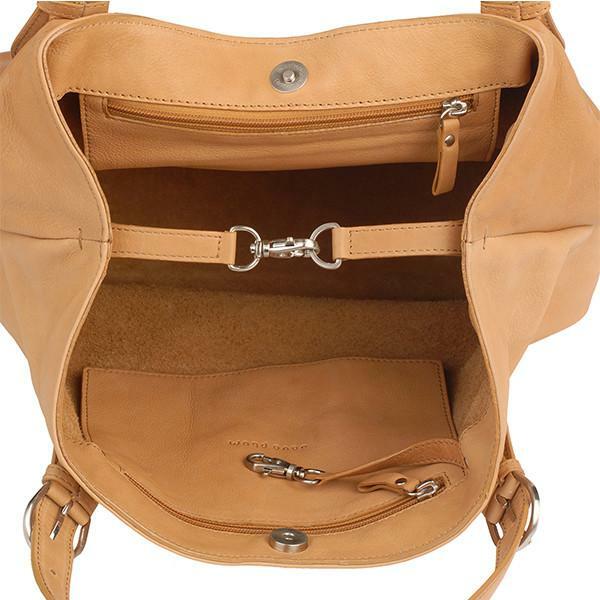 Incredibly spacious, it can be carried in two ways. 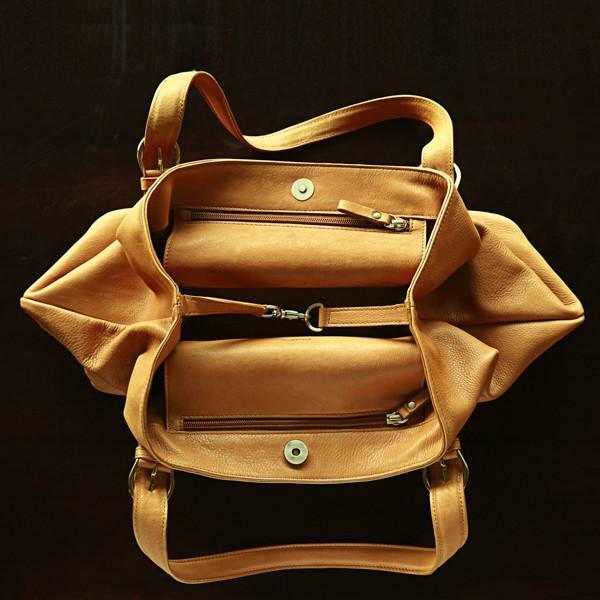 The sides can be folded in to use it as a hobo or straightened out to use it as a rectangular tote. 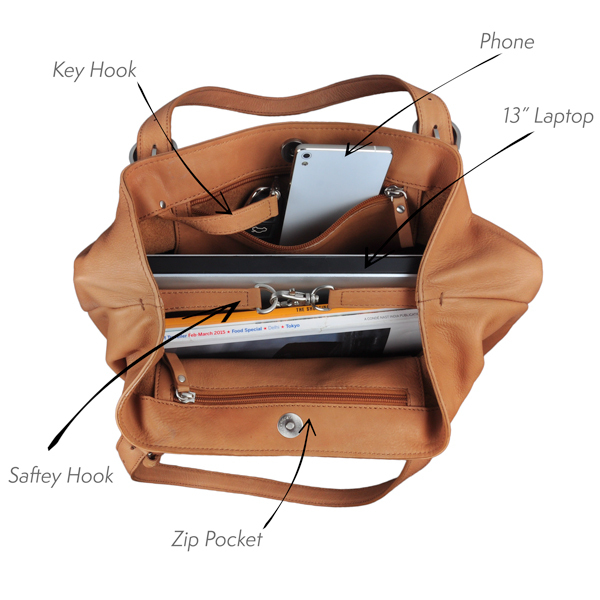 It fits a 13 inch laptop and features a magnet & hook combination closure for complete security. 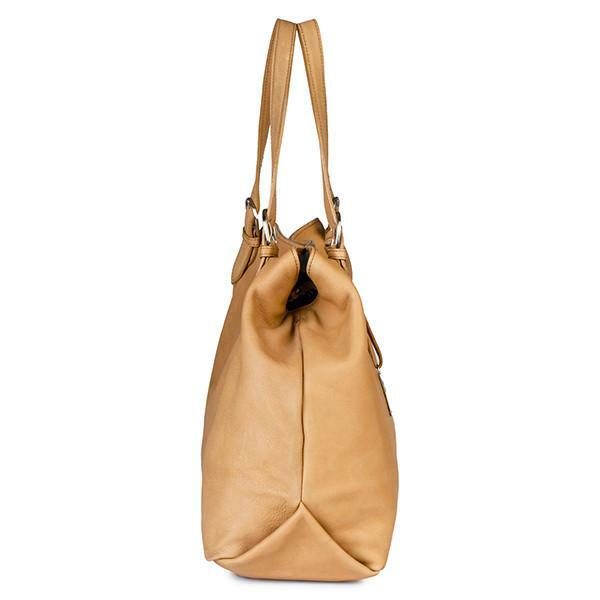 · The Fes Hobo in Camel is a Java Plum Classic. 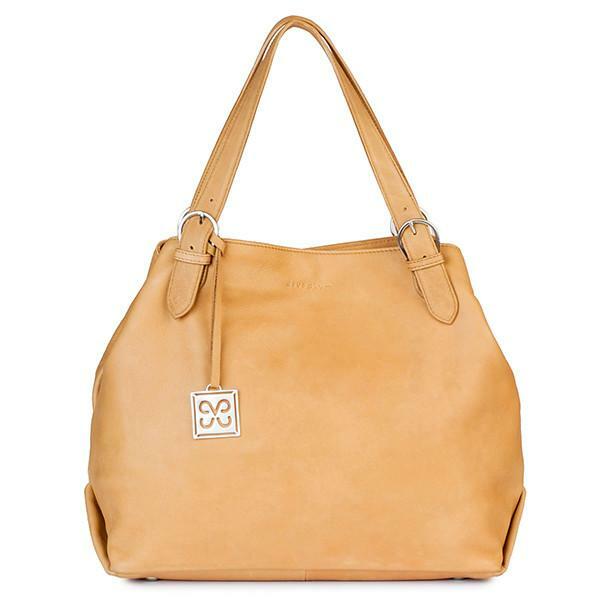 It is named for Fes in Morocco, home to the oldest leather tannery in the world founded a thousand years ago. Leather: Naked Leather is the leather for a connoisseur. It is the most natural form of leather. It ages beautifully over time and use, acquiring a rich, honey brown patina. 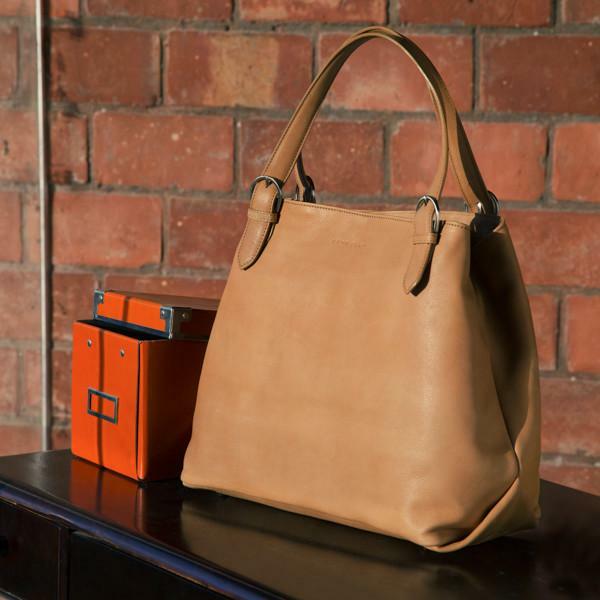 Each bag's leather is unique and natural irregularities showcase its real character. 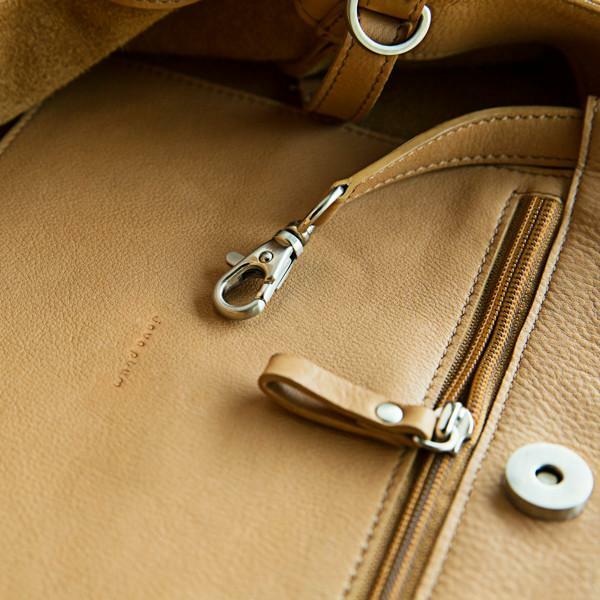 Naked leather requires special care. Please read the care booklet that comes with the product to keep your bag in mint condition.